Exciting young sire Helmet has scored his first stakes winner with the John O'Shea trained Archives in the Hampden Stakes at Doomben today. Archives had one previous start at Rosehill for a very green third placing before today's winning effort. Whilst he still looks to have a lot to learn he appears to be a gifted racehorse with a bright future ahead of him. Lee has been a fan of Helmet since watching him win in the Sires Produce Stakes, he went on to win the Champagne Stakes & Caulfield Guineas. This year purchased an outstanding colt by the sire at the Gold Coast Magic Millions sale for $100,000. He is from stakes winning mare Parriwi (4 wins - including a 3rd in the Roman Consul behind champion racehorse Buffering & 5th in Group 1 level behind Star Witness). Our colt has been broken in & has completed his first educational prep at Rosehill. He is nominated for the $10M Magic Millions Race Series and will be targeted for the 2yo Magic Millions & 2018 Golden Slipper. It is a great opportunity to get involved in racing a quality horse by an exciting young sire. 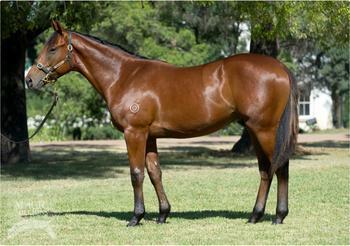 For more information please visit - http://curtisracingstables.com.au/horses-available... or contact Lee on 0406997705.